Perhaps the biggest joy this site gives me is knowledge. People have been kind enough to send in invaluable links. This one is worth checking out. When a person has trouble relating to others, they usually are able to relate to animals. Osimply act as a calming presence in their person’s life. 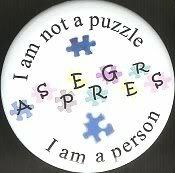 I have Asperger's Syndrome, but I'm not letting it stop me! My name is Kathleen and I am part high school student, part volunteer-intern-extraordinaire here at EducatorLabs, where I'm getting to help with research and now a bit of outreach. 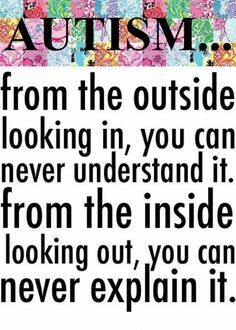 I'm lucky enough to get work experience, but I know not everyone else with Asperger's and other autistic disorders is so lucky and gets to live such an active life. I get self-conscious around people sometimes though I love to write, but over time I've been coming out of my shell by trying new things. I want others to do the same! 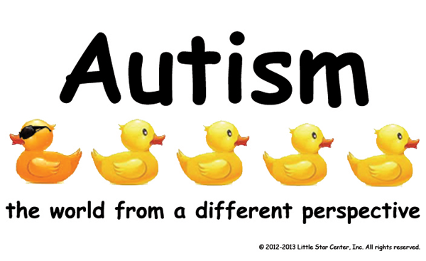 I'm trying to put together shareable resources to help empower others with autism to be confident, social, and able to overcome their obstacles. I'm excited to share what I've found so far in hopes that your visitors would find them useful, too (maybe here: http://www.jazzwritesandsingsforyou.com/Autism-Asperger_s_.html). A site not to miss- He has a huge site, interacts and tells stories about his life. I only put a small section here to get you to go there. 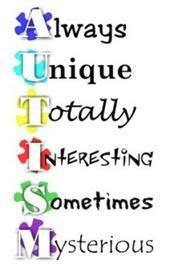 Every person with autism is different. 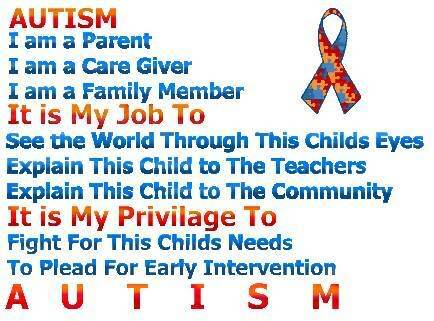 Not all persons with autism will show all of these symptoms. This is to be used as a guide and not considered as medical advice. Non verbal, can't talk, can't communicate, or have trouble communicating. Some children with autism may point to objects when they want something instead of ask. Some children may scream aloud when they can't communicate when they either want something or are struggling with communicating. Some children can't ask for help when they need help. Can't understand pain. Doesn't feel pain. Doesn't cry when hurt. Doesn't cry when spanked. I remember my father telling me he spanked me as a baby for something and I didn't cry at all. Of course they'll cry when they're hungry, or had an accident in their pants, but if they cry for no reason, then there may be something else wrong with them. Can't determine between hot and cold. Speech problems, or trouble with language. Mispronounce words. Examples: When I tried to say the word "think", it would sound like "sink." When I tried to say "important", I would say "importment." 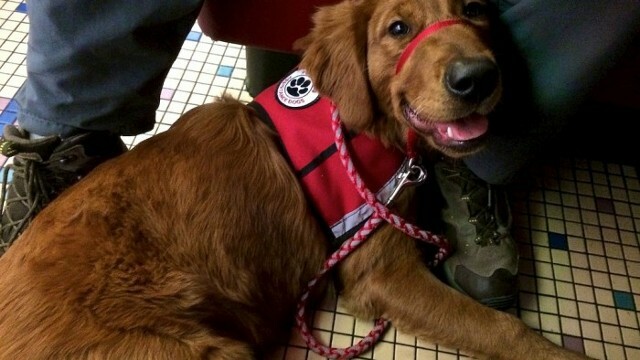 Trouble with being potty trained. I don't think I got potty trained until I was 6-7 years old. I remember peeing in my pants in Kindergarten and once in the Third grade. 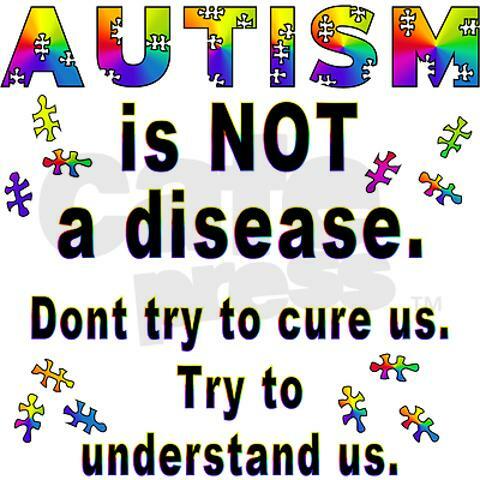 AS is an autism spectrum disorder (ASD), one of a distinct group of neurological conditions characterized by a greater or lesser degree of impairment in language and communication skills, as well as repetitive or restrictive patterns of thought and behavior. 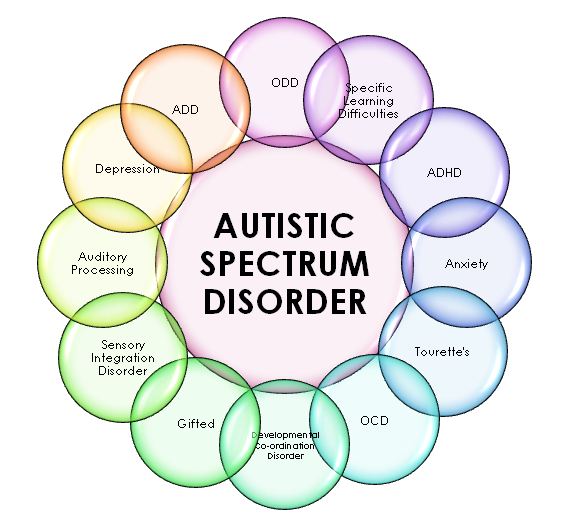 Other ASDs include: classic autism, Rett syndrome, childhood disintegrative disorder, and pervasive developmental disorder not otherwise specified (usually referred to as PDD-NOS). Parents usually sense there is something unusual about a child with AS by the time of his or her third birthday, and some children may exhibit symptoms as early as infancy. Unlike children with autism, children with AS retain their early language skills. Motor development delays – crawling or walking late, clumsiness – are sometimes the first indicator of the disorder. The incidence of AS is not well established, but experts in population studies conservatively estimate that two out of every 10,000 children have the disorder. Boys are three to four times more likely than girls to have AS. Studies of children with AS suggest that their problems with socialization and communication continue into adulthood. Some of these children develop additional psychiatric symptoms and disorders in adolescence and adulthood. 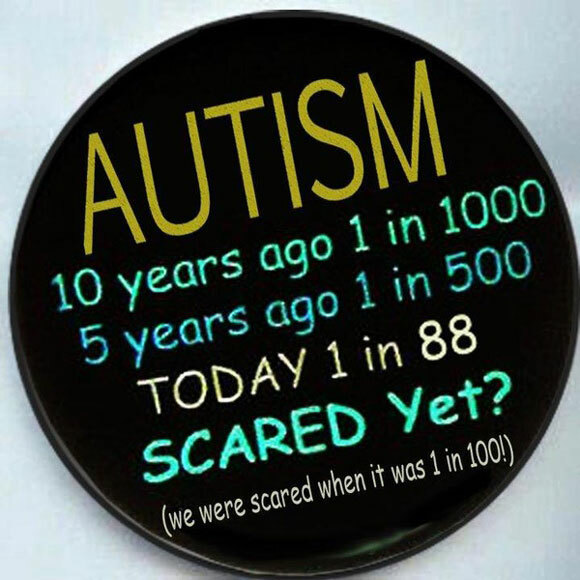 Although diagnosed mainly in children, AS is being increasingly diagnosed in adults who seek medical help for mental health conditions such as depression, obsessive-compulsive disorder (OCD), and attention deficit hyperactivity disorder (ADHD). No studies have yet been conducted to determine the incidence of AS in adult populations. 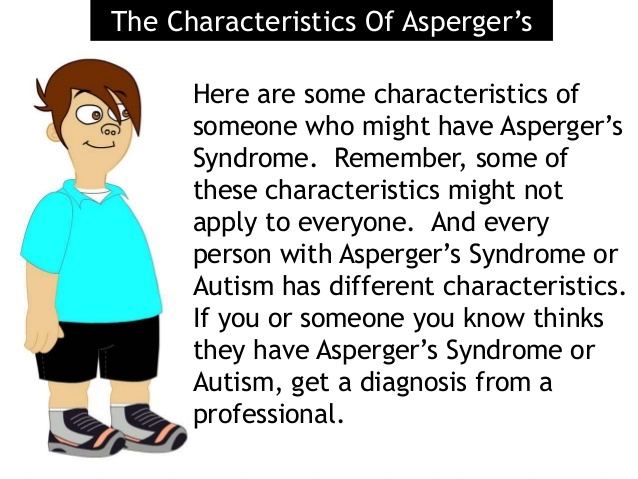 Why is it called Asperger syndrome? 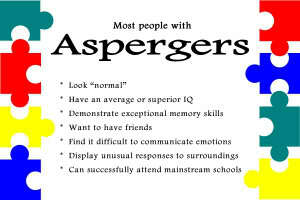 Asperger’s observations, published in German, were not widely known until 1981, when an English doctor named Lorna Wing published a series of case studies of children showing similar symptoms, which she called “Asperger’s” syndrome. Wing’s writings were widely published and popularized. AS became a distinct disease and diagnosis in 1992, when it was included in the tenth published edition of the World Health Organization’s diagnostic manual, International Classification of Diseases (ICD-10), and in 1994 it was added to the Diagnostic and Statistical Manual of Mental Disorders (DSM-IV), the American Psychiatric Association’s diagnostic reference book. A lack of a good night's sleep can affect not only the child but everyone in his or her family. If you're bleary-eyed from night after night of waking up with your child, there are a number of lifestyle interventions and sleep aids that can help. 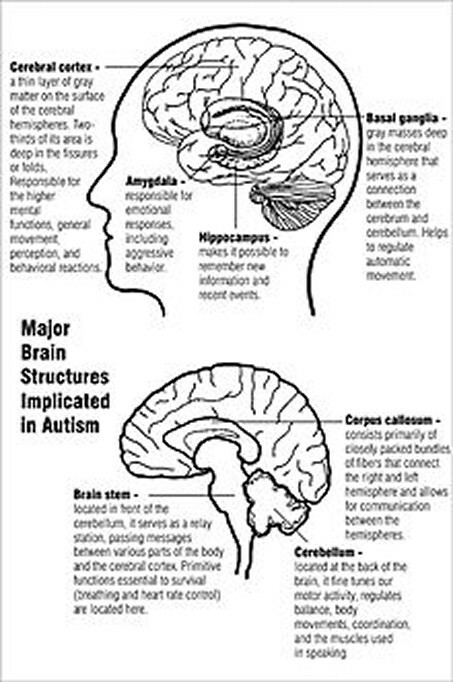 What causes sleep disorders in children with autism? Researchers don't know for sure why autistic children have problems with sleep, but they have several theories. The first has to do with social cues. People know when it's time to go to sleep at night, thanks to the normal cycles of light and dark and the body's circadian rhythms. But they also use social cues. For example, children may see their siblings getting ready for bed. Children with autism, who often have difficulty communicating, may misinterpret or fail to understand these cues. I was sent information recently about this problem, I'd like to thank yhem for opening my eyes.